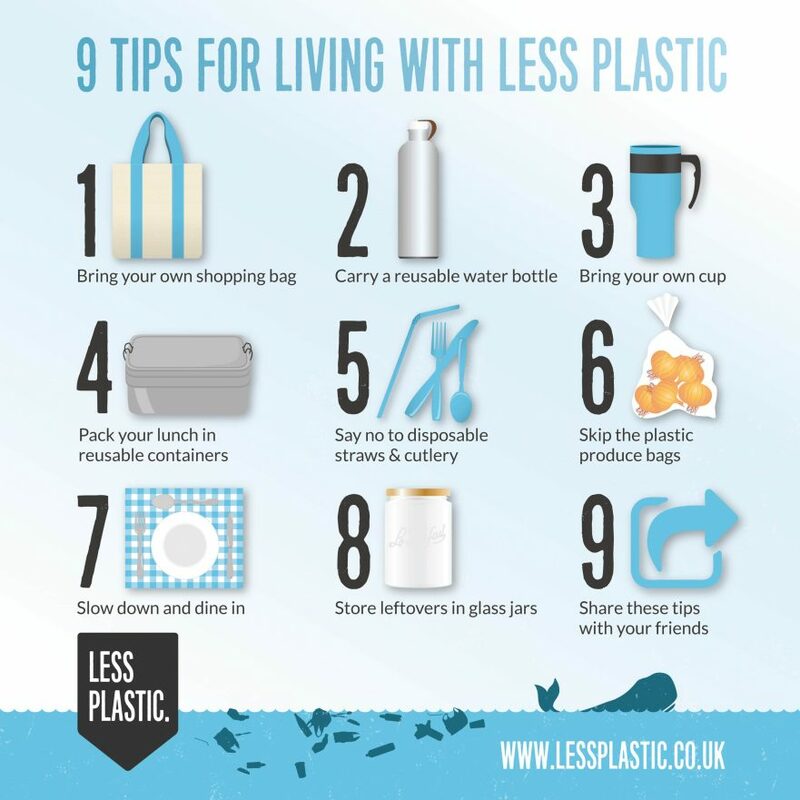 At Full Council on the 12th March 2018 Members unanimously agreed that “Buckingham Town Council to do all it can to encourage the Town of Buckingham, residents and businesses to reduce the use of single use plastics in Buckingham to assist with the reduction of the problems of plastic waste, that is impacting on our Environment and Oceans.” The Council immediately began phasing out the use of single use plastics products at all of its events, offices and community centres and has planned consultation with local businesses and market traders on how we can take the initiative forward. Plastic, in its current form, has only been around for the last 60-70 years, but in that time it has transformed everything from clothing, cooking and catering, to product design, engineering and retailing. One of the great advantages of many types of plastic is that they’re designed to last – for a very very long time! The hard-wearing qualities of most plastics means that some items can take hundreds of years to biodegrade. Did you know nearly all the plastic ever created still exists in some form today!?! Scary facts about plastic pollution! • The world is now producing nearly 300 million tons of plastic every year, half of which is for single use. More than 8 million tons of plastic is dumped into our oceans every year. • A plastic bag has an average ‘working life’ of 15 minutes – but could last 500 years. • 14% of all litter comes from beverage containers. Issue flyers to hirers of the Council’s Community Centres suggesting alternatives to using single-use plastic. – Investigate participation in national schemes such as the Refill campaign. We would love to hear residents’ views and suggestions on reducing single use plastic in Buckingham. Please email committeeclerk@buckingham-tc.gov.uk if you have any comments, suggestions or would like to be involved in the Plastic Free Buckingham campaign.